This year marks the 20th anniversary of the first version of TOGAF®, an Open Group standard, and the publication of “The Boundaryless Organization,” a book that defined how companies should think about creating more open, flexible and engaging organizations. We recently sat down with The Open Group President and CEO Allen Brown and Ron Ashkenas, Senior Partner at Schaffer Consulting and one of the authors of “The Boundaryless Organization,” to get a perspective on Boundaryless Information Flow™ and where the concept stands today. Brown and Ashkenas presented their perspectives on this topic at The Open Group Edinburgh event on Oct. 20. In the early 1990s, former GE CEO Jack Welch challenged his team to create what he called a “boundaryless organization”—an organization where the barriers between employees, departments, customers and suppliers had been broken down. He also suggested that in the 21st Century, all organizations would need to move in this direction. Based on the early experience of GE, and a number of other companies, the first book on the subject, “The Boundaryless Organization,” was published in 1995. This was the same year that The Open Group released the first version of the TOGAF® standard, which provided an architectural framework to help companies achieve interoperability by providing a structure for interconnecting legacy IT systems. Seven years later, The Open Group adopted the concept of Boundaryless Information Flow™—achieved through global interoperability in a secure, reliable and timely manner—as the ongoing vision and mission for the organization. 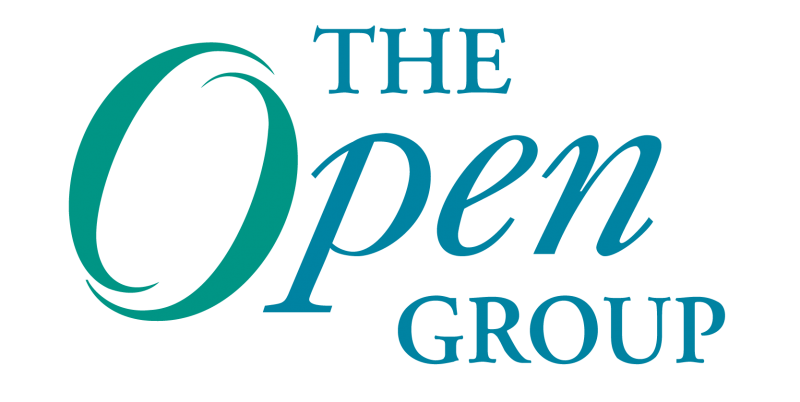 According to Allen Brown, President and CEO of The Open Group, that vision has sustained The Open Group over the years and continues to do so as the technology industry faces unprecedented and rapid change. Brown’s definition of Boundaryless Information Flow™ is rooted in the notion of permeability. Ron Ashkenas, a co-author of “The Boundaryless Organization” emphasizes that organizations still need boundaries—without some boundaries they would become “dis-organized.” But like the cells walls in the human body, those boundaries need to be sufficiently permeable so that information can easily flow back and forth in real time, without being distorted, fragmented or blocked. In that context, Brown believes that learning to be boundaryless today is more important than ever for organizations, despite the fact that many of the boundaries that existed in 1995 no longer exist, and the technical ability to share information around the world will continue to evolve. What often holds organizations back however, says Ashkenas, are the social and cultural patterns within organizations, not the technology. What’s more, collaboration is not just an issue of getting individuals to change, but of making changes at much larger levels on a much larger scale. Not only are boundaries now blurring within organizations, they’re blurring between institutions and across global ecosystems, which may include anything from apps, devices and technologies to companies, countries and cultures. Brown agrees. He says that there are two major forces currently facing how The Open Group will continue to shape the Boundaryless Information Flow vision. One is the need for standards to address the changing perspective needed of the IT function from an “inside-out” to “outside-in” model fueled by a combination of boundaryless thinking and the convergence of social, mobile, Cloud, the Internet of Things and Big Data. The other is the need to shift from IT strategies being derived from business strategies and reacting to the business agenda that leads to redundancy and latency in delivering new solutions. Instead, IT must shift to recognize technology as increasingly driving business opportunity and that IT must be managed as a business in its own right. For example, twenty years ago a standard might lag behind a technology. Once companies no longer needed to compete on the technology, Brown says, they would standardize. With things like Open Platform 3.0™ and the need to manage the business of IT (IT4IT™) quickly changing the business landscape, now standards need to be at the forefront, along with technology development, so that companies have guidance on how to navigate a more boundaryless world while maintaining security and reliability. “This is only going to get more and more exciting and more and more interesting,” Brown says. Just how boundaryless are we today? Ashkenas says a lot has been accomplished in the past 20 years. Years ago, he says, people in most organizations would have thought that Boundaryless Information Flow was either not achievable or they would have shrugged their shoulders and ignored the concept. Today there’s a strong acceptance of the need for it. In fact, a recent survey of The Open Group members found that 65 percent of those surveyed believe boundarylessness as a positive thing within their organization. And while most organizations are making strides toward boundarylessness, only a minority–15 percent—of those surveyed felt that Boundaryless Information Flow was something that would be impossible to achieve in a large international organization such as theirs. According to Brown and Ashkenas, the next horizon for many organizations will be to truly make information flow more accessible in real-time for all stakeholders. Ashkenas says in most organizations the information people need is not always available when people need it, whether this is due to different systems, cultural constraints or even time zones. The next step will be to provide managers real-time, anywhere access to all the information they need. IT can help play a bigger part in providing people a “one truth” view of information, he says. Another critical—but potentially difficult—next step is to try to get people to agree on how to make boundarylessness work across ecosystems. Achieving this will be a challenge because ways of doing things—even standards development—will need to adapt to different cultures in order for them to ultimately work. What makes sense in the U.S. or Europe from a business standpoint may not make sense in China or India or Brazil, for example. Brown and Ashkenas say that we can expect technical innovations to evolve at greater speed and with greater effectiveness in the coming years. This is another reason why Enterprise Architecture and standards development will be critical for helping organizations transform themselves and adapt as boundaries blur even more. As Brown notes, the reason that the architecture discipline and standards such as TOGAF arose 20 years ago was exactly because organizations were beginning to move toward boundarylessness and they needed a way to figure out how to frame those environments and make them work together. Before then, when IT departments were implementing different siloed systems for different functions across organizations, they had no inkling that someday people might need to share that information across systems or departments, let alone organizations. “It never crossed our minds that we’d need to add people or get information from disparate systems and put them together to make some sense. It wasn’t information, it was just data. The only way in any complex organization that you can start weaving this together and see how they join together is to have some sort of architecture, an overarching view of the enterprise. Complex organizations have that view and say ‘this is how that information comes together and this is how it’s going to be designed.’ We couldn’t have gotten there without Enterprise Architecture in large organizations,” he says. In the end, the limitations to Boundaryless Information Flow will largely be organizational and cultural, not a question of technology. Technologically boundarylessness is largely achievable. The question for organizations, Brown says, is whether they’ll be able to adjust to the changes that technology brings. “The limitations are in the organization and the culture. Can they make the change? Can they absorb it all? Can they adapt?” he says.